Concrete has many fantastic qualities, from being environmentally friendly to being extremely versatile and long-lasting. 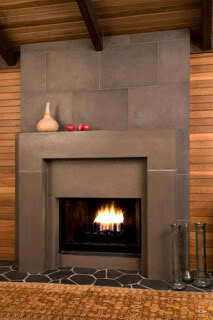 As a fireplace surround material, concrete is the most durable and unique on the market. No two concrete surrounds are the same. 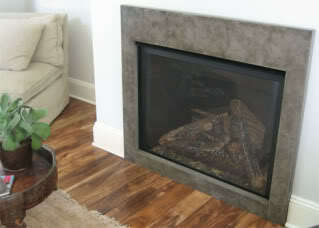 A concrete fireplace surround can create a clean, dramatic, organized and eye-catching look for any room in your home. Customization. As with all concrete projects, you will be able to customize every detail of the project from the shape, style and color to the thickness, finish (matte or glossy) and more. 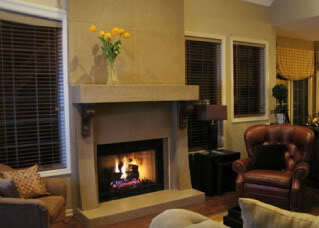 Find a knowledgeable concrete contractor to work with you in designing the best surround for your fireplace. Flexibility. The shape options are endless with concrete. 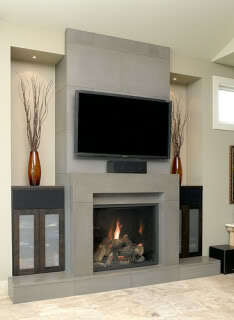 No other material offers so much choice when it comes to custom designing the shape of the surround and mantel. A popular trend is to design the concrete surround to go all the way up the wall to the ceiling, thereby creating a column surrounding the fireplace. See the images below for some inspiration. Low Maintenance. 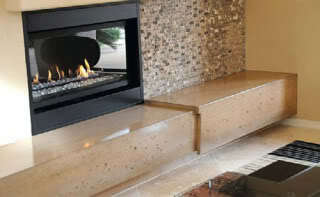 There is hardly any maintenance associated with a concrete fireplace surround. Simply dust and, if necessary, wipe down using a non-abrasive cloth with warm, soapy water. Safety. 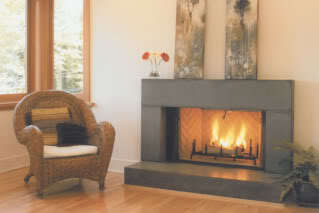 A reinforced concrete fireplace surround is solid and safe. It's not only fireproof, but also resistant to rot and earthquake damage. Practicality. A concrete surround not only makes the fireplace a beautiful eye-catching design element but also serves as a functional mantel where you can place vases, flowers, photos, art and more.